On this week’s 51%, she was head of communications for Hillary Clinton’s presidential campaign, and has penned a book about a new model of leadership. Plus, a few women with open door policies of sorts don’t mind all the birders. In the book, she uses experiences and lessons from her days in these roles to pen a letter to the first woman president and, by extension, all women seeking positions of power. She aims to forge a new model of leadership that fully embraces women’s feminine qualities and demonstrates that women can best serve by being themselves. She says, as a country, we haven’t wrapped our heads around what it should look like for a woman to be in the job of president. Our only models are men. In her book, Palmieri redefines expectations for women and challenges a man’s version of how a woman leader should act, talk and dress. I spoke with Palmieri about all of this, starting with whether she thinks Hillary Clinton’s loss was a gender issue or likeability factor? And, she says, reassuring. 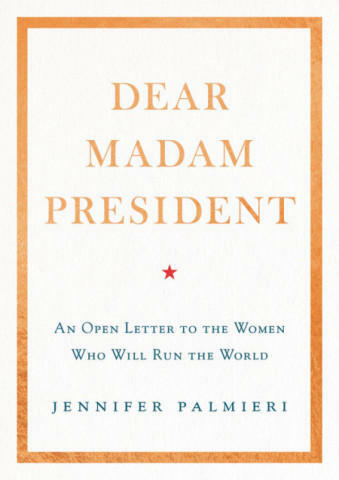 That was Jennifer Palmieri, whose book is “Dear Madam President,” a compendium of experiences and lessons from her days in the Obama White House and Hillary Clinton’s presidential campaign – to name a few. It’s a letter to the first woman president and all women seeking positions of power. RIYADH, Saudi Arabia (AP) — Saudi women are driving freely for the first time after years of risking arrest if they dared to get behind the wheel. And with the ban now lifted, a new opportunity has emerged: Working as drivers. It’s a job that had been reserved for men only and one that until recently even many Saudi males rejected as socially taboo. Saudi women who want to work as drivers — for ride-hailing services like Uber, for example — are part of a wave of change that has drawn resistance from parts of the male community. Dianne Reeves can sing effortlessly in whatever style she wants with her far-reaching range, whether it’s rhythm-and-blues, gospel, Latin or pop. But jazz always was—and continues to be—her musical foundation. Imagine a bus load of complete strangers tromping through your front yard, carrying spotting scopes and cameras with telephoto lenses. It’s just a day in the life for these Minnesotans and their famous feeders. And there are a few women who don’t mind the intrusion. KFAI’s Ryan Dawes reports. In these times, it’s a message of humanity worth repeating — We should be more willing to open our arms and our doors, for our fellow people.